UPDATE: Darn, this went quick 🙁 No longer available, but I’ll let you know if it comes back. 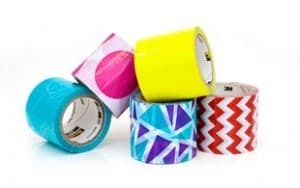 Click here to visit their tab and click “Get Sample.” Then fill out the form to request a free sample of Scotch Expressions Packaging Tape. Allow 6-8 weeks for delivery of your sample by mail.